Moonlight Spice white tea balances citrus notes of orange, schizandra berries, and Dry Desert Lime. White tea is the least oxidized and processed of all teas. 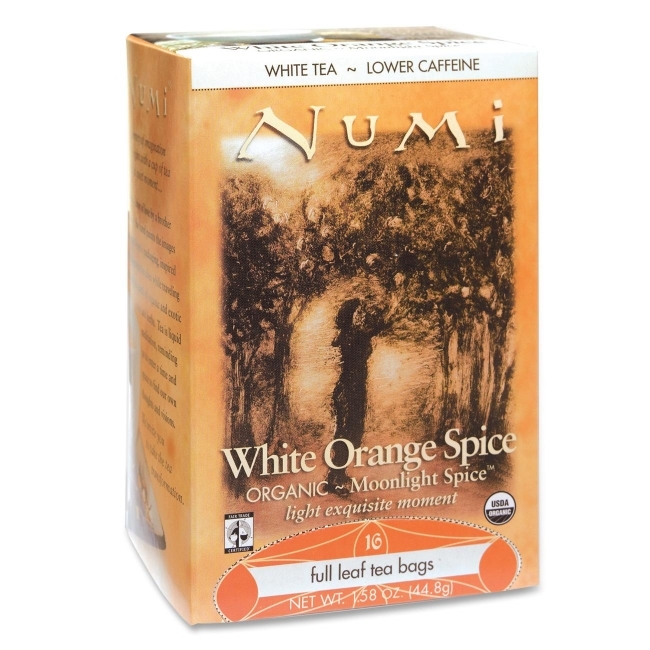 This blend of all-natural, organic ingredients includes premium Organic White Pai Mu Tan tea, orange peel, citrus, and spice for an authentic cup without oils or flavorings. Orange spice tea is caffeine-free and contains 100 percent real ingredients. Individually wrapped tea bags are biodegradable.